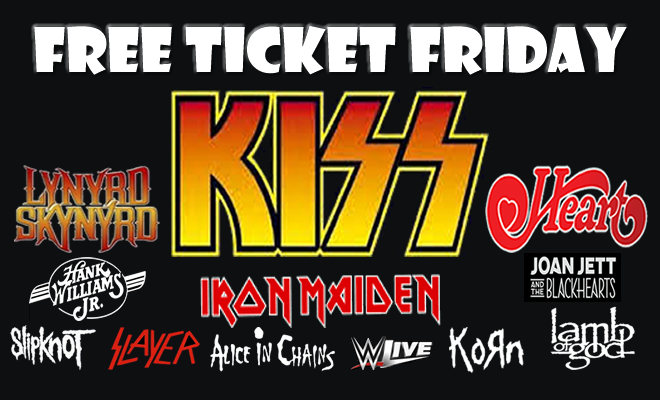 Starting April 19, 2019, you could be on your way to see KISS, Iron Maiden, Slayer, Lynyrd Skynyrd with Hank Jr, SlipKnot, Heart with Joan Jett, Korn with Alice in Chains, WWE Live, or movie passes from the Allen Theaters and so much more! Friday, April 19 at 4:30 pm, Real Classic Rock 92.5 KRWN FM will be at Hi Country Chevrolet in Aztec until 6:00 pm so you can spin the wheel to win concert tickets, meal tickets or movie tickets! You could even win a hotel room in Albuquerque to go a long with your concert! Don’t be late or you will miss your chance to win!